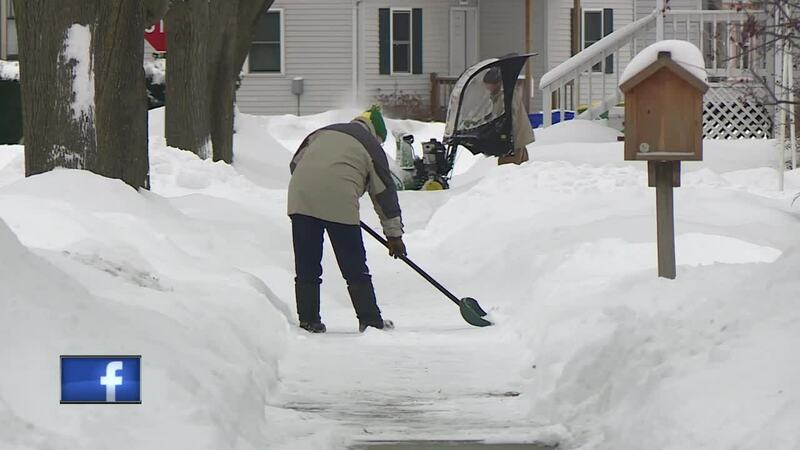 From snow plow drivers to folks having to take care of their driveway on a repeating basis, many are tired of the continuing snow. GREEN BAY, WI — With this latest major snowstorm just waiting to pay northeast Wisconsin a visit, everyone from snow plow operators to folks needing to shovel their driveways are preparing. With at least a couple of inches of snow expected across our viewing area by Tuesday morning, city plows and just about anyone with a driveway are getting ready. On Monday folks were still digging out from what we were dealt during Sunday's snowstorm, and many across our region are just getting ready for the next round of snow. A round of snow that, of course, includes public works departments preparing like in Green Bay, who have frequently during the last several weeks clocked in for 16-hour shifts to get the work done. "We've got storms stacking up on top of each other and the folks out there who are responsible for plowing and getting things cleaned out they're just working massive hours. We're not getting an opportunity to get those folks home and fully rested and get them back to 100 percent," says Steve Grenier the Director of the Green Bay Public Works Department. Green Bay's Public Works Director says the massive amount of work his crews have been dealing with the last few weeks isn't just hard on his men and women, but it's also hard on their equipment. He says a break from the extreme weather would be good for both his costly machines and his crew's morale.